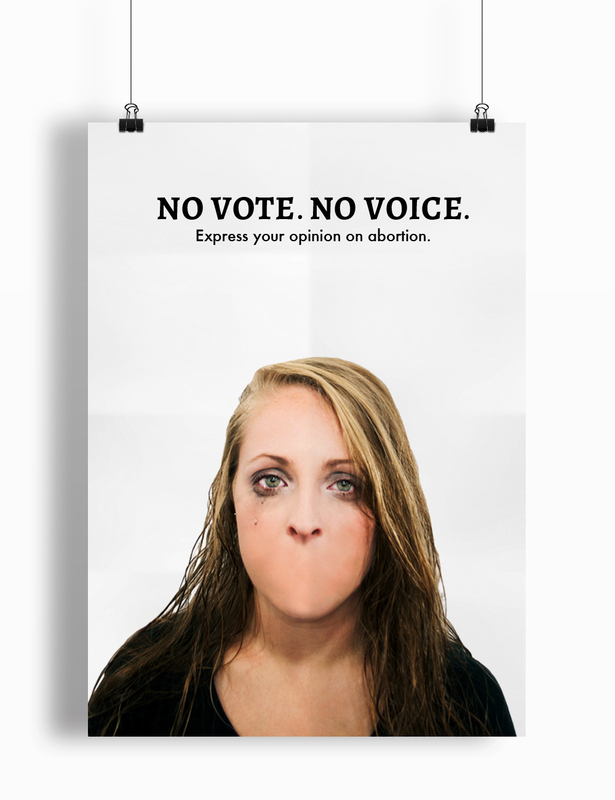 These political posters are formulated to grab the attention of college students and get them to the voting polls. 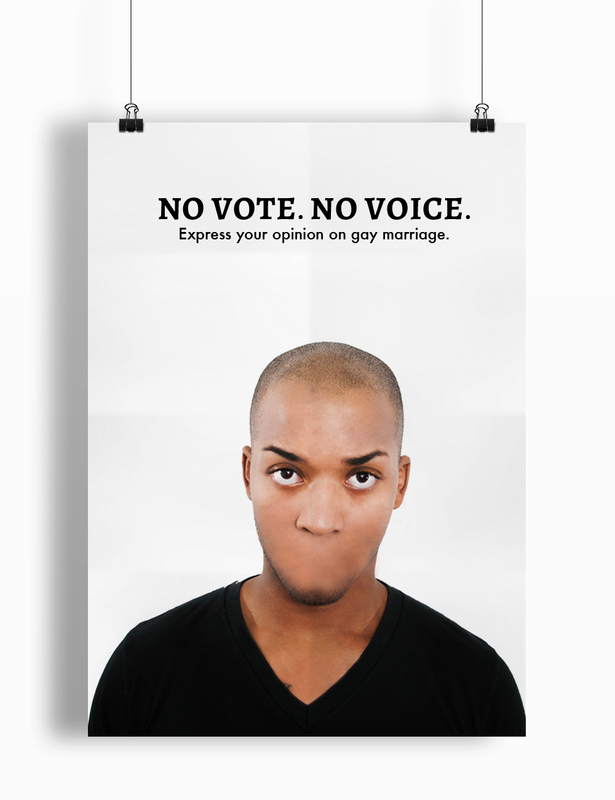 In this campaign, I have decided to remove the mouth’s of the subjects, however, still offer the voting box for viewers to realize they can express their opinion in politics other than just vocally. The subjects that I used in this piece were chosen from surveys that I conducted around campus asking “physical trait” questions that pertained to each poster’s subject matter.